As an Arizona native, Jo has been involved with foster care and adoption for almost 29 years and has served on the Supreme Court Foster Care Review Board for over 15 years. Her commitment to improve the lives of Arizona's most fragile, with love and faith stems from her own experience as a mother of five children, four of which are adopted, including her beloved Jake. Jo and her husband Brian, have fostered multiple babies over the years and currently reside in East Mesa. Leslie is a Co-Founder and active Board Member of Jacob’s Hope. Jacob’s Hope is close to her heart having known Jacob since he was a baby. Leslie has more than 25 years of administrative experience; most recently in the insurance industry. 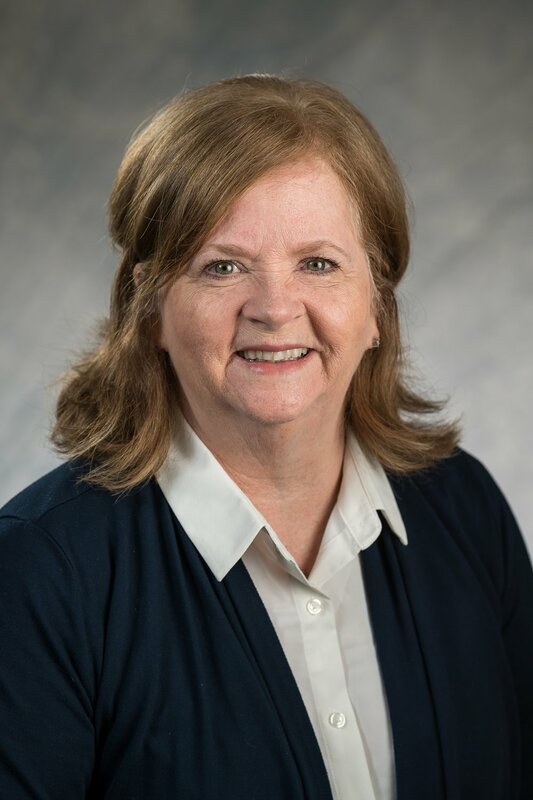 Leslie has always had a passion for at risk children and she has demonstrated her passion by participating in tutoring young children and fostering children. Leslie has three daughters, one whom is adopted. Her passion for Jacob’s Hope mission is to care for prenatal substance exposed babies in order that they may have a bright future regardless of their challenging start in life. Jenny has been a neonatal nurse and nurse practitioner for decades Her many years of experience in many Neonatal ICU s (including all of them in the Phoenix area) makes her uniquely qualified for this position.. More importantly,Jenny has a love for the infants that are going through withdrawal from prenatal substance exposure. Larry has been very active in the foster/adoption effort for over twelve years. He was a kinship foster parent for over 5 years plus subsequently a foster parent for several children. He created and was the leader for the Palm Valley Church Foster/Adoption for ten years that has made major impacts on several organizations and many families. He was an Executive Board Member for the West Valley Child Crisis Center for over 7 years. He has been on several AZ Supreme Court Foster Care Review Boards for over 7 years. More importantly, through his blessed experience, Larry understands the wonderful and critical functions of the family. The critical initial years of a child’s life that shape their entire lives. He is committed to maximizing the potentials for as many as he possibly can. Jacob’s Hope of AZ is a fine opportunity to do this. Born and raised in Massachusetts, Dr. Michael Lucherini received a Bachelor of Arts in Biology from Brown University in 1987, before attending the University of Cincinnati College of Medicine where he received both a Master of Science in Molecular Biology and Bio-Chemistry in 1992 and a Doctorate of Medicine in 1994. He and his wife, Mary Ellen, have made their home in Mesa, Arizona since 1998, when he began a combined residency in Internal Medicine and Pediatrics at the Good Samaritan Regional Medical Center (now Banner University Medical Center) and Phoenix Children’s Hospitals. Dr. Lucherini has been in private practice for over twenty years. His belief about healthcare being first and foremost about the patient motivated him to create a bold, innovative concept to offer patients direct access and partnership in their own health and wellness. In 2013, Dr. Mike launched his Direct Access Medicine® practice, Summit Medicine and Pediatrics. Dr. Mike and Mary Ellen love life and share their home with his 88-year-old dad as well as their three cats. They are very proud of their two beautiful daughters whose education and careers, although outside of the healthcare industry, are rising to great success. Born and raised in Arizona, Aubrey lives in the East Valley with her husband and four children. In addition to raising her own children, she is passionate about at-risk children, specifically drug exposed infants, as she and her husband have fostered several infants over the past 4 years. She has training in prenatal drug exposure as well as infant and childhood development. Aubrey has volunteered in many capacities with children and teen moms and looks forward to bringing her experience to a ministry dear to her heart. Cynthia has worked in the mental health field in Arizona for over 20 years as a director of claims and billing for several large behavioral health agencies. She served as a foster mother to substance-exposed infants for four years and has volunteered as a Foster Care Board member for almost 20 years. Cynthia served as a founding board member for a local adoption agency and has worked with another non-profit agency teaching life skills to women recently released from prison. Cynthia has a Bachelor’s degree in Psychology and enjoys reading, hiking, and cooking in her spare time. Lindsey is a former Mesa Public School teacher who recently decided to stay at home with her 9 month old daughter. She loves kids and is passionate about working with at risk children. She and her husband recently completed foster care classes with the hopes of taking that step in the future. Lindsey remembers growing up with Jacob and looks back fondly on the way he was always loving others so well. She is excited to be a part of the team and can’t wait to see what the Lord has in store for this organization that is dedicated to him. Lindsey has a desire to see kids grow up with a strong support system and believes that Jacob’s Hope is a necessary and intentional step for that to become a reality in the lives of these infants. Hi! My name is Chrissy Levenda and I have been married to the love of my life for nine years. Prior to meeting my husband, there was never a dull moment being a single mom for fourteen years to three wonderful children. I obtained my bachelor degree in Human Development while raising my children. I then went on to pursue a Master’s Degree in Social Work and have also obtained my licensure, making me a Licensed Master Social Worker. My experience includes working for a company contracted with the Department of Child Safety for four years where I was the lead Behavioral Support Specialist and went on the become the Interim Director. I have also worked at Hospice of the Valley for four years and I’m currently working at Banner Desert Medical Center providing social work throughout the hospital for almost 3 years now. Praise God for his continued guidance throughout my journey! Born and raised in the Phoenix area, I currently live in Gilbert with my beautiful wife Chrissy. I retired after 22 years with the Phoenix Fire Department in 2005 and then moved overseas for a few years to oversee the construction of a Christian camp/retreat center in Ergli, Latvia. I am currently semi-retired, as I drive a School bus for Mesa Public Schools. My hope is that my experience as a first responder and construction background can be put to good use helping Jacob's Hope be a safe and comfortable place for these little ones. 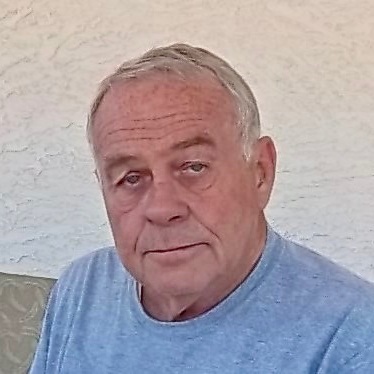 Brian has been a resident of Arizona for over 58 years. During that time, he enjoyed a 28-year career as an elementary school teacher and retired in 2014. Now he works as an independent painting contractor and serves alongside of his wife, Jo, on the board for Jacob’s Hope. Brian is Jacob’s father and so this center is near and dear to his heart. Being involved in foster care and adoption has given him the skills needed to help these newborns. He brings a caring heart for babies and a nice warm lap for them as well. Jacob’s Hope is dedicated to Brian and Jo’s son and as such, will always be a very important part of their lives.